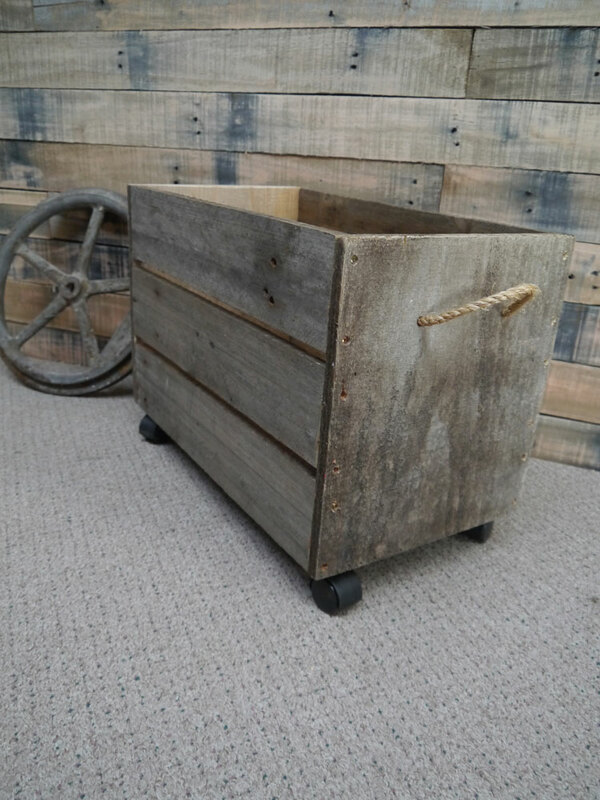 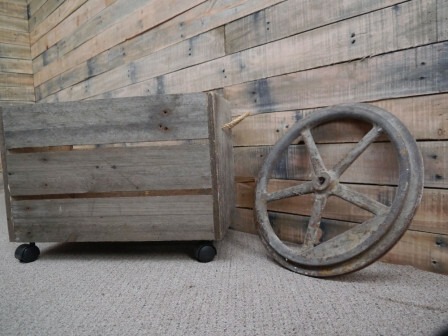 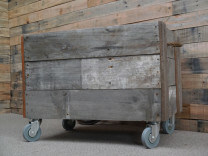 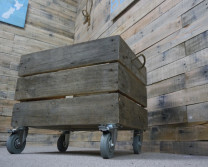 Vintage looking wooden storage crate made out of old gray weathered shipping pallets. Has small castor wheels underneath for easy movement around the room. 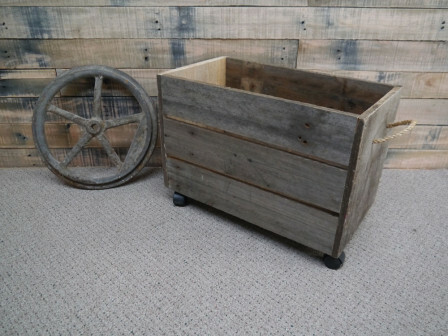 External dimensions: 530mm long, 300mm wide, 390mm high. 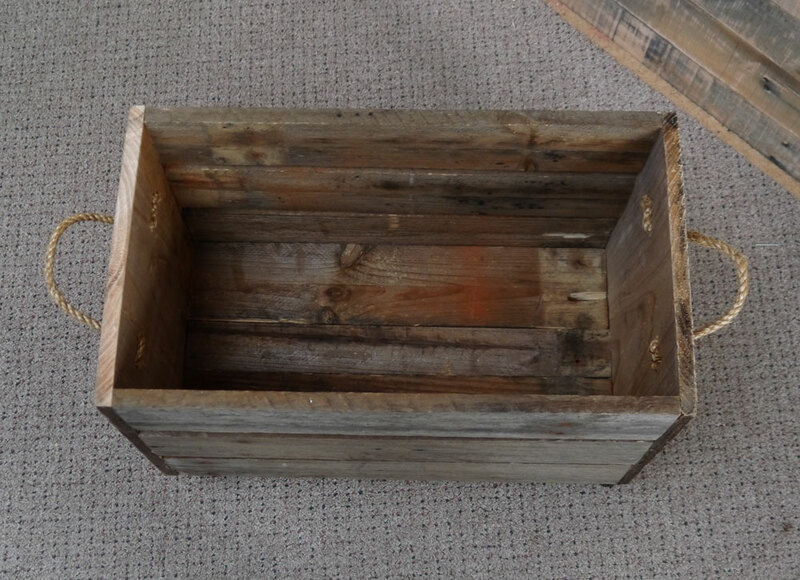 Internal dimensions: 500mm long, 267mm wide by 315mm deep.